To access; from the Dashboard, click Configure. The Event Settings menu will be displayed. 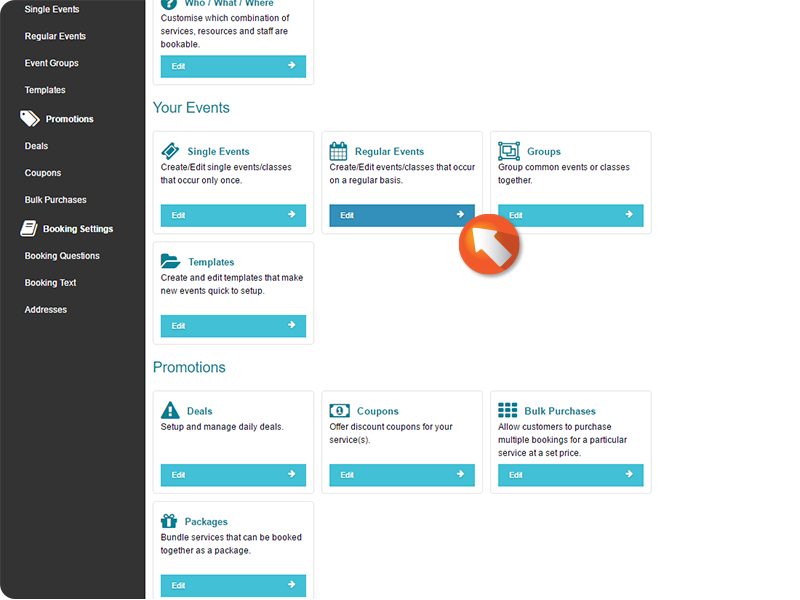 Click Single Events to add and edit Single Events for your Business. Single Events refer to a single day or set of dates that Customer's sign up for. These Events can have a set amount of tickets/spaces, take attendance information, and recurr daily, weekly, monthly, or yearly. Set up Single Events if your Business is holding a class just once, has a one-off party, or is showing a movie. 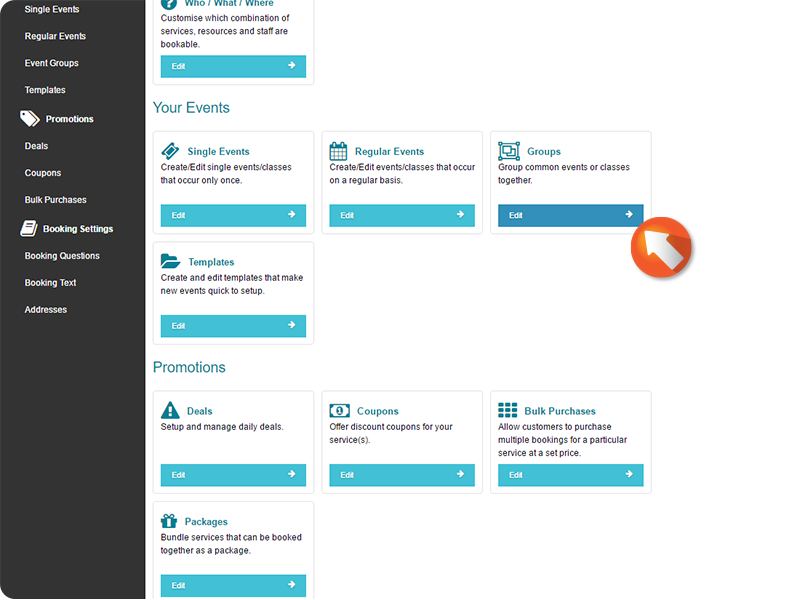 Click Regular Events to add and edit Regularly Occurring Events. Regular Events refer to a single day or set of dates that Customer's can sign up for that will reoccur on a regular time interval. These Events can have a set amount of tickets/spaces, take attendance information, and recurr daily, weekly, monthly, or yearly. Set up Regular Events if you hold yearly semesters for your classes, or have a seminar that reoccurs monthly, or hold bi-weekly meetings for a club. 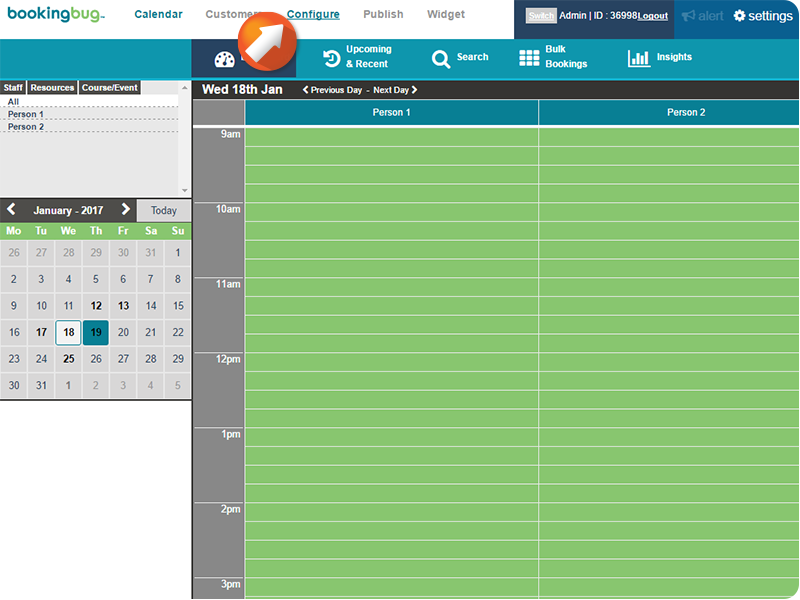 Click Groups to categorise your different Events, and organize them in the BookingBug widget the way you choose. 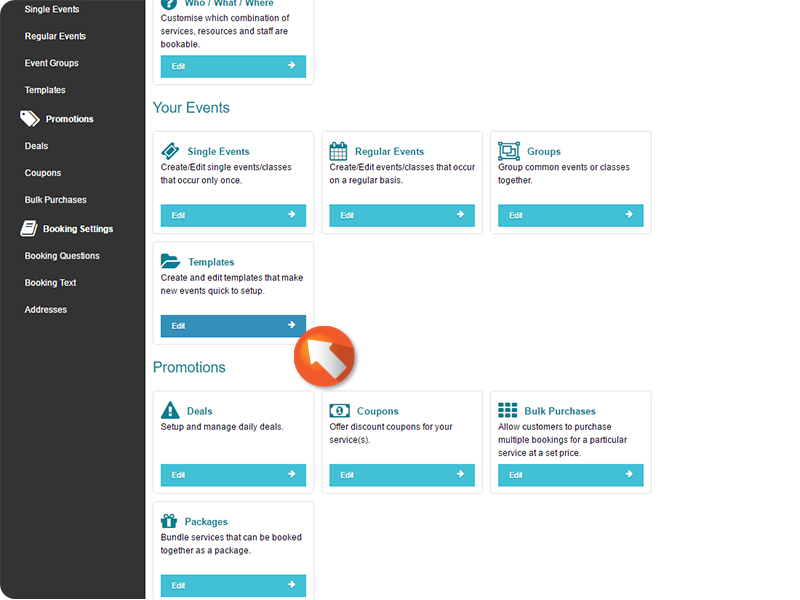 Offer multiple types of classes, or organize different Events into sub-Categories. 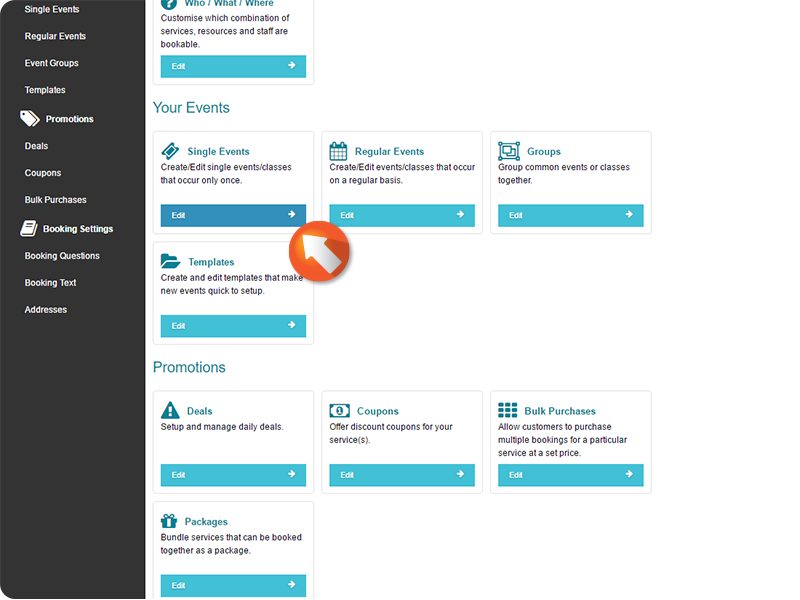 Click Templates to access Event templates. After creating and saving an Event or Course, you save a copy of it to your Templates. Use templates to quickly recreate old classes or make multiple new classes with similar settings. 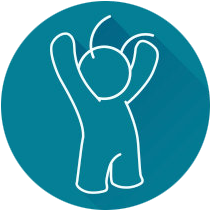 You will still be able to edit any copied Templates and the Events or Courses created with them.